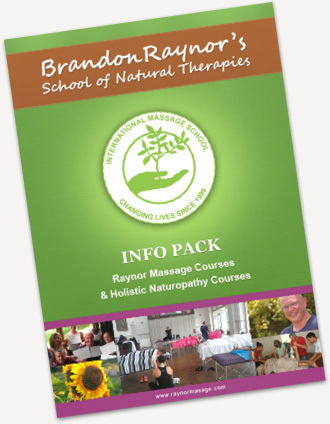 We hold Raynor massage courses around New Zealand. If you’d like to learn more about somewhere specific, click the links for each location below. You can train with us in our short and intensive courses designed to get you massaging quickly and effectively. Our courses do not burden you with written exams and irrelevant material. Instead, teachers demonstrate techniques which students practice while the instructor gives individual feedback. On the first day of the course you will both give and receive a massage, an important first step in building confidence and experience in massaging real bodies and real people. Additionally, our expert teachers give as much advice and support as you feel you need while you learn this unique massage style. One of the unique elements of Raynor massage is its holistic philosophy. We see the body as an integrated whole, understanding that problem-causing tension can manifest anywhere, even where symptoms are not immediately apparent. Our students learn to track and then remove ‘bands’ of tension that run through the body. We have three levels of Raynor Massage courses. The 5 day Raynor Massage Certificate course is ideal for massaging friends and family or for getting started in a massage career. Our 10 day Raynor Massage Diploma Course, which also incorporates the 5 day Certificate is for those who are serious about a career in massage. The Advanced Practitioner’s Diploma is only available to students who already have our Diploma and who ideally also have experience in using the massage professionally. Use our Contact Us form for more details or to discuss your individual needs. You can request us to come and teach a massage course in any location in New Zealand. We usually require a minimum of 4 people. See group packages for more details. Also you can email us and put your name down for any future Raynor massage courses in New Zealand. Discounts are available in certain circumstances, if you’d like to learn more then contact us.